Chance to win a free play day pass for four with Gambado Watford! 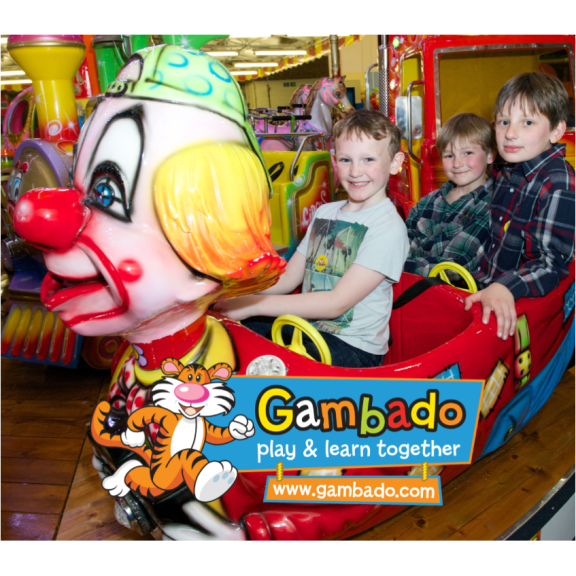 We're delighted to have teamed up with Gambado Watford and running a prize draw for a chance to win a free play day pass for four. This prize draw closes on 5 September 2016, so hurry and make sure you enter and open the email to verify your entry! Gambado soft play and children's activity centre in Woodside Leisure Park in Watford offers children the chance to play, learn, run free and explore in a fun, safe and stimulating environment and designed to cater for all ages, including under 2’s and under 4’s. It's packed full of variety and innovation and has everything you would expect in a soft play centre (giant play frame, big slides, massive ball pits, the works!) along with a few special extras. There’s a carousel, climbing wall and dodgems.